Winter is a season that many Montanans long for. Our landscape gets covered in snow; our skis and snowboards dusted off and our snowshoes laced back on. We wrap our bodies in layers, freeing us to explore whatever temperature range winter brings. Our cold weather, furry, four-legged friends need little to do the same. Winter dogs share common adaptations to cold weather. Typically thick-furred, they are larger and smarter than normal dogs and bred to glide over powder and sniff out the faintest scents from intruders to people in need. These dog breeds are our recommendations for accompanying us on our winter adventures. If there were a word to describe the Akita, “nobility,” would certainly be it. Hailing as a breed from Japan with its primary role in protecting the Imperial Family, there is no reason it wouldn’t be an excellent choice for you either. 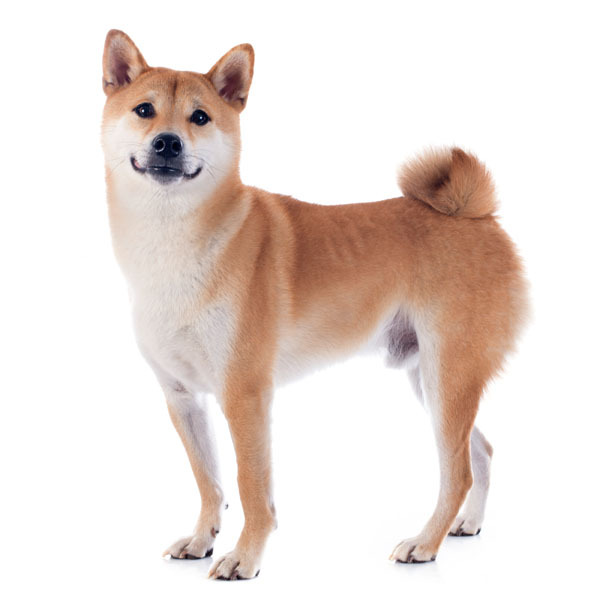 Despite its obvious loyalty, its coat is extremely thick with soft, short, and dense fur making it a valuable choice for extreme temperatures. Although a thick coat often means shedding to unfathomable proportions, the Akita will simply handle wherever your Montana winter joys lay. It’s truly a big dog, with an intimidating stance, snarl of a bark, and intense eyes. These traits only mask its passionate and playful stature. However, you won’t be able to open your door or come close to home without its barking out of control. But once it sees you, all it wants is to know how your day has been and wondering if you’ll take it outside to play and use up all of that energy by diving into the snow. This Chinese canine has to be the single closest relative in looks to a sumo wrestler. 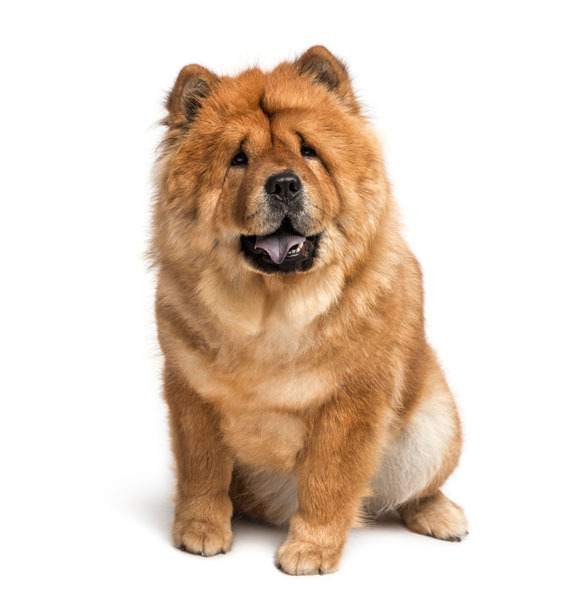 The Chow is a thick-furred cuddle buddy that will keep you warm on the coldest of nights. Though its intelligence and ability to train well are like teaching a kindergartner calculus, what it makes up in lieu of its IQ are its independence and warmth factor. For those of you who unfortunately work long days and can’t seem to make it out all in time to enjoy Montana’s winter to the fullest, the Chow’s ability to entertain itself and find comfort in an apartment setting make it a great companion without the worry or stress for care. A simple walk around the neighborhood will suffice. However, if there is a desire to go an adventure, it will hold its own just fine and stay warm no matter what the mercury says. 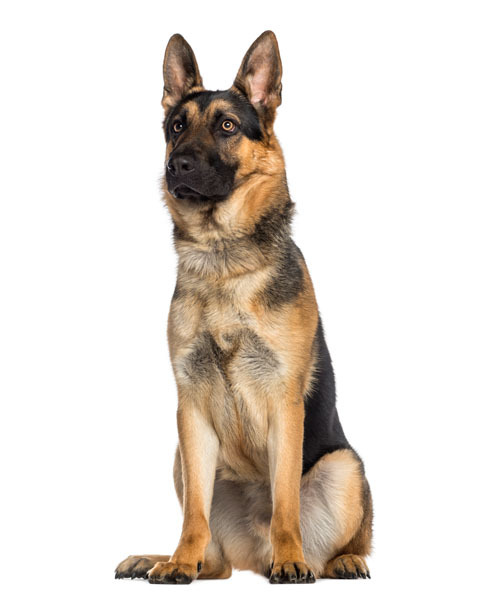 Possibly one of the most recognizable species of dog on the planet, the German Shepherd simply exudes what most dogs wished they could aspire to. From its famous Hollywood roles to its importance during World War I, the reflection this dog has cast has landed it as the most versatile for whatever situations in life arise. In its service for the U.S. Military and Police Force, its intelligence is unsurpassed. Owners laud their limitless energy and desire for exercise. Therefore, those of you who love high-octane adrenaline sports and want a dog to be able to keep up, the Shepherd wont leave your side. They need a significant amount of attention so if you leave home for long periods, these dogs tend to do unfortunate things to maintain their sanity. Chewing, gnawing, scratching, and barking are all their downfalls if they don’t get attention. So despite needing to match their A.D.D. as well as purchasing a vacuum to go along with copious shedding, the German Shepherd is a great dog for any winter activity you desire. 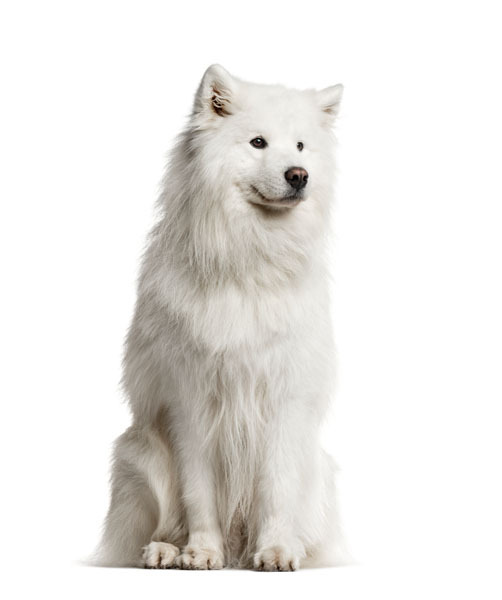 Since the Samoyed, originally from Siberia, was originally bred for herding reindeer, hunting, and hauling sledges, its thick white coat and compact build make it suitable for winter. Its constant smiling face and energy make it a fun and affectionate pal. The Samoyed is an intelligent dog, yet easily bored with repetitive activities. Still, owners love their versatility, knowledge, and wild instincts. The Siberian Husky, hailing from the far northern reaches of Russia, is a reminder of how wild canines that look like wolves became domesticated. 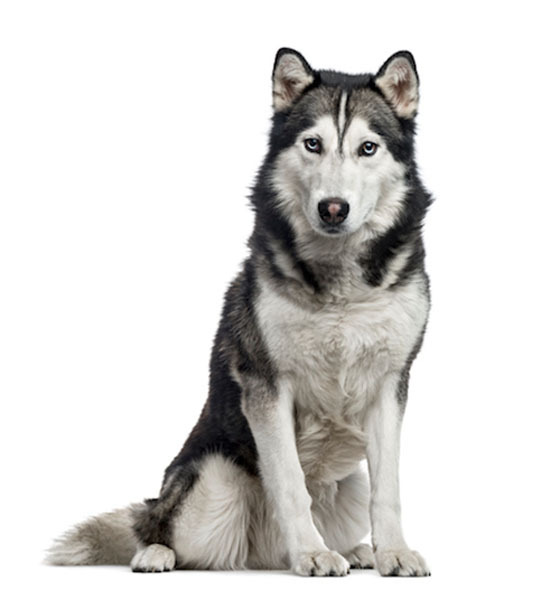 As a popular choice in Iditarod Races and for daily use as a sled dog in the Arctic regions, the Husky has an obvious good-for-winter reputation. Its name alone states that it is clearly ready to stand up to winter weather. The Husky walks proudly, enticing others to pet its gorgeous coat. Many owners say that training these independent-minded dogs are like teaching a cat to play catch. Extremely smart and daring, the idea of walking it off leash isn’t recommended, as its curiosity and playfulness with others are unfathomable. Your winter run could turn into a game of hide and seek. Its desire to seek out new spaces may be the only real downfall; their boldness, beauty, wildness, and love are the greatest joys on offer for those looking for the same. How can anyone forget the movie, The Sandlot? A group of misfit kids and a gigantic, slobbery dog that ended up being the most loving thing the kids feared. 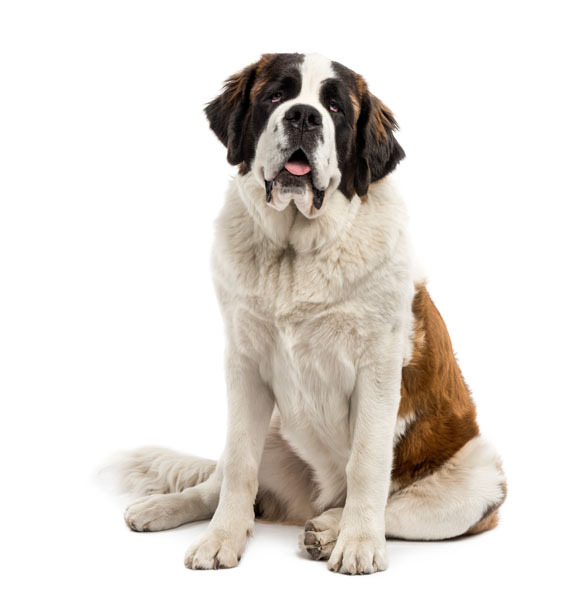 Though the slobbery part about the dog is accurate, few people know that it actually was the dog of choice from the monks of the Saint Bernard Hospice in Switzerland. While hailing from the Alps, its intelligence and ability to handle the cold weather was valued to help as a rescue dog in severe winter conditions. A massive dog with the potential of weighing up to 180 pounds, its large stature may make you feel significantly safer, but it’s also their greatest detriment. Sadly with its size comes a shorter than average canine life. And while giant and somewhat intimidating, it has the most playful attitude with little to no exercise required if a big enough yard is present. The Saint Bernard is a perfect one for our blizzardy winter days. This independent descendant of its closest physical appearance, the wolf, is the definitive best friend for the adventurous human—whether male or female. 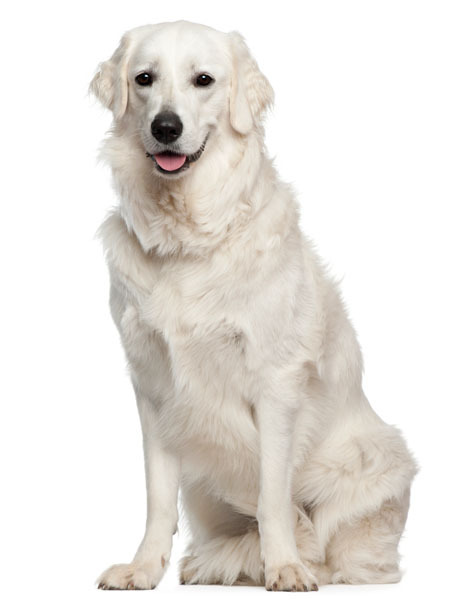 With an adaptable body that can add grace to a marathon, the Kuvasz won’t tire at any altitude, distance, or terrain. Bred white originally in Hungary so the owners could distinguish them from the local wolves, its independence and loyalty are both a benefit and detriment. It does not fraternize well with other dogs or humans. Its loyalty can get in the way if wanting a hike with a friend or a simple dinner with a loved one at home. Its protective nature is valued; however, training it to welcome strangers is difficult despite its intelligence. A beautiful dog with a reputation for being a fashion dog, it is a beautiful and protective dog for those looking for a friend for those solo winter adventures. All these dog breeds are great choices for winter companions. If you are lucky enough to own one, you are sure to have fun. If you don’t already own one, the above guide may help you find your best friend.